In “Japanese Architecture as a Collaborative Process,” professor Dana Buntrock explains how Japanese designers, manufacturers and construction firms work together to produce the country’s famously ambitious and exacting architecture. 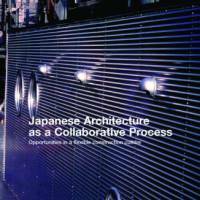 Japanese Architecture as a Collaborative Process, by Dana Buntrock. TAYLOR & FRANCIS GROUP, Nonfiction. Buntrock, who conducted extensive fieldwork, gives a robust analysis of economic, legal and technological factors that enable collaboration. In Japan, construction firms sign on to projects earlier than in most other nations, and they continue to work with architects on the construction site. Buntrock explains that architects establish temporary offices on-site to maintain “daily contact with the building.” Furthermore, construction firms are legally liable for architectural quality, which improves the building’s performance. Buntrock examines sources of innovation. Domestic manufacturers are able to produce small batches of customized components, widening the range of options available to designers. Local and prefectural governments are also major patrons of architecture; Kumamoto Artpolis, a program that funds landmark public buildings, is the most famous example. Japan is well known abroad for precise construction, but accounts of this too often rely on stereotypes. 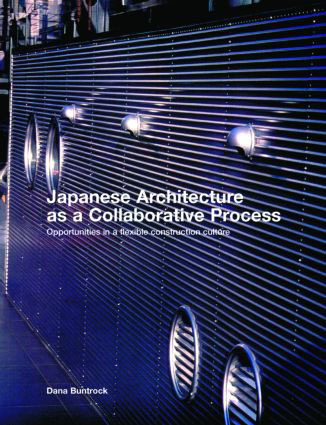 “Japanese Architecture as a Collaborative Process” does include some cultural explanations for Japanese craftsmanship, like the transfer of expertise from traditional carpentry families to modern construction firms. But Buntrock’s achievement is her rigorous study of all the players in the Japanese construction industry, and how they interact.